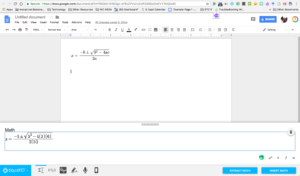 EdTech Blog Math and Google, It Can Be Done! Math and Google, It Can Be Done! TextHelp, the makers of Read&Write for Google have a math editing tool that can be used throughout G Suite for Education called EquatIO. It is a Chrome extension that when added allows a teacher to build complex math problems in any Google application. If you are a veteran and are familiar with using LaTex to write math problems, you can still do that. The extension has a few features that can make it very useful though. First, it can extract math out of images to allow for editing and reinsertion into a document. The equation editor mode allows you to type problems with a simple menu of options for different operators. There is a handwriting recognition tool if you are using a touchscreen and a speech input tool where you can say the math and have the tool write it. Recently, a mobile application was added that allows you to use your phone to hand write problems or take a picture of a problem and insert it directly into the document. With the mobile input, you need to open the doc and launch EquatIO first. 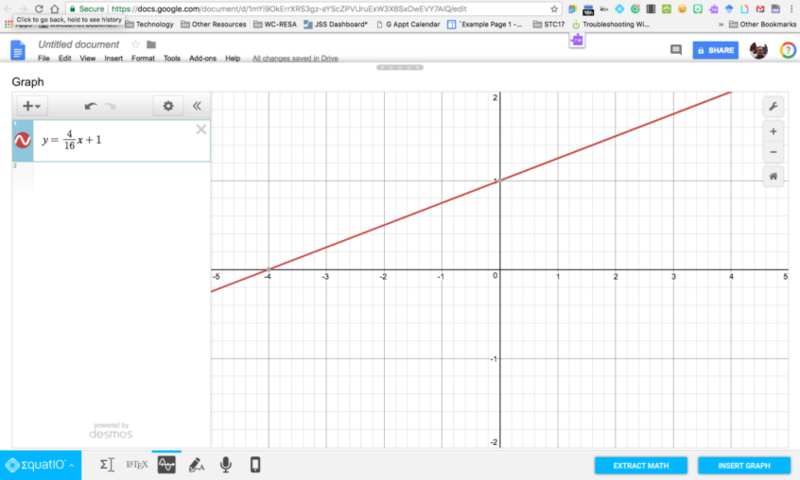 And finally, EquatIO has partnered with Desmos to include graphing input features as well. This tool is available for students to use as well, but they are limited to the free version which can only be used in Google Docs. Teachers can get a free premium subscription that allows all features in most Google Applications at: https://www.texthelp.com/freeforteachers/. 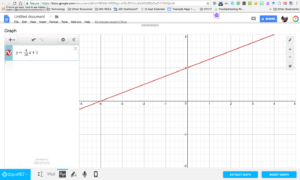 EquatIO is easily installed from the Chrome Web Store. Just type it into the search and click add to Chrome.